Is a higher SEER better? A SEER rating is a maximum efficiency rating for your air conditioning or heat pump equipment. This means that although the SEER rating displays a certain number, it is not always working at that number – the advertised SEER rating is simply the maximum level of efficiency it can operate at. Think of it like MPG in your car, it may have been advertised at 30 MPG but maybe you accelerate a little too often and you really average 20 MPG. Apply this concept to your AC unit and you can see how constantly changing the temperature in your home can result in a decrease in efficiency and a suboptimal SEER rating. The most common sales pitch for high SEER AC units is “this unit will pay for itself in 10 years!”, or something along those lines. That high SEER rating is the MAXIMUM level of efficiency, it is the limit of your AC unit. This means that if you live in an area with major swings in temperature you are not going to get that SEER rating. In fact you probably won’t get anywhere close to it. This is especially true in the desert where you may be turning on your heat at night to combat the steep temperature swings. The reason for this is multi-faceted but the major things are insulation and heat sinks. Your insulation is designed to keep your home either warm or cool, this sounds like a great concept and it is, except when you have 50 degree nights and 90 plus degree days. 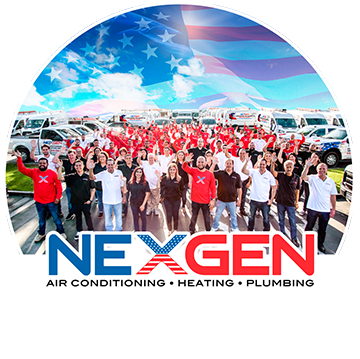 All of the items in your home including that insulation is going to hold onto and begin to release that heat throughout the day, this is going to cause your AC unit to have to work harder in order to cool your home, which decreases its efficiency. This can be compounded by a lack of shade or air movement around your home. This means that the fan has to run more often in your outdoor unit. “Air conditioner manufacturers provide a time delay setting on most new equipment as a means of increasing the SEER rating,” Proctor has written. “The delay is timed to maximize performance on the SEER test, not to provide maximum benefit in dry climates. The 90-second delay commonly used by manufacturers … produced [only] a 3% improvement in sensible SEER [in California’s central valley]. What this means for people in desert climes is that there is very little need to have a high SEER unit. Another thing to consider is that the SEER rating is based off of an AHRI match system, so while you may have a “20 SEER” AC installed in your home, it’s really more like 14 SEER once you take into account that your furnace and coil are not matched to the outdoor unit and are therefore not working at maximum efficiency. So is a high SEER AC unit worth the money? Yes, if you are going to have an entirely new HVAC system put into your home it is worth the extra money.